Slowly but surely we are destroying our environment – we are responsible for creating super bugs and super weeds by the persistent use of antibiotics, herbicides, insecticides or fungicides. It is common knowledge that certain strains of bacteria don’t respond to antibiotic treatment anymore. It is a proven fact that spraying of crops and domestic use of insecticides and herbicides are responsible for disappearing insect populations and the cause of cancer in humans. It has now come to light that super weeds are emerging threatening staple crops which are dosed regularly with chemicals. So what has to be done … stronger herbicides? The article below was published in the Farmers Weekly. 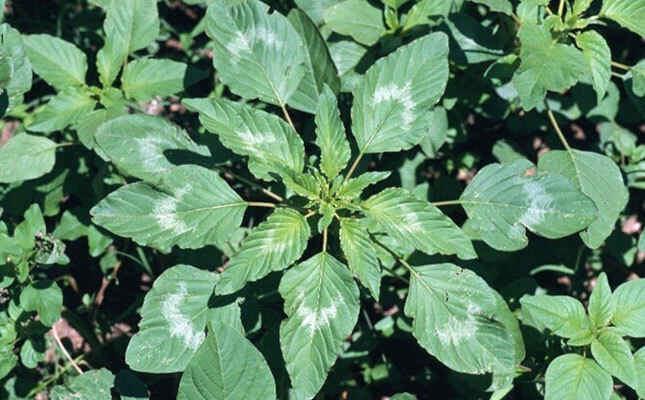 Fields infested with the Palmer amaranth weed can lose up to 91% of their crop. CropLife SA has released an emergency eradication plan for the invasive weed Palmer amaranth (Amaranthus palmeri), which can result in almost total crop failure in maize. Prof Charlie Reinhardt, project leader at the South African Herbicide Resistance Initiative, said the weed was resistant to glyphosate. He noted that Palmer amaranth had a rapid growth rate of more than 6cm a day and the ability to accumulate large biomass quickly, making it an extremely competitive weed. Infestation has resulted in documented yield losses of between 11% and 91% in maize, 11% and 59% in cotton, and 17% and 79% in soya bean, depending on the level of infestation. Palmer amaranth plants also interfered with the harvesting of cotton as the large quantity of biomass attained by mature plants resulted in frequent work stoppages to dislodge thick plant stems from harvesting equipment. Outlining its emergency eradication plan, CropLife SA advised farmers to control Palmer amaranth plants prior to planting through tillage practices. Internationally registered burn down herbicides such as Paraquat could be utilised to control the weed, while Auxin-type herbicides such as 2,4-D and MCPA could be utilised pre-planting when crop rotation systems allowed for it. As this species was new to South Africa, current registered herbicides did not have it listed on their labels. Farmers were advised to consult CropLife SA for a full list of chemicals that could be used.